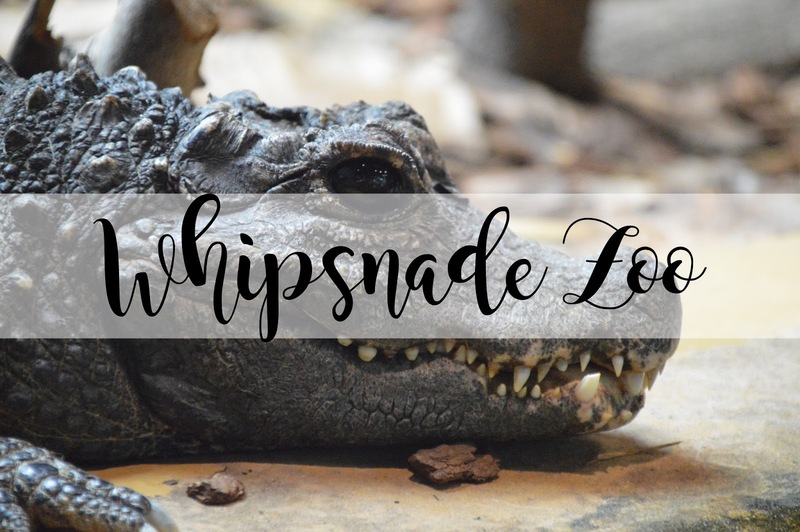 It's better late than never, but I'm finally sharing my experience of Whipsnade Zoo with you which I'm going to be splitting into two posts because there's just so much to get through and this post will be extremely long otherwise. Something myself and my boyfriend do on a yearly basis is go to a Zoo for my birthday and we decided this year we were going to go to Whipsnade because it was different and we hadn't been there yet. Whipsnade is around an hour and a half away from where I live and I have to travel on the M11, M25 and M1, which isn't too bad! This was also my first experience driving on the motorway for a long period of time and I couldn't believe I did it without crashing my car! Woop! I had seen so many bad and good reviews on Google about Whipsnade Zoo and how it was either better or worse than Woburn Zoo so it was a really tricky decision on which Zoo we should go too. Due to the fact Woburn Zoo is a safari park which required driving through the Zoo and the thought of not being able to see the lions etc from miles away, we decided to go to Whipsnade Zoo because it required walking around the whole thing which we didn't mind doing. The first part of the Zoo was the butterfly room, one of the things I hate the most! I don't mind butterflies, but I don't like butterflies which land on me. Luckily enough when we went, the butterflies stayed put on their leaves and were not flying about too much. In the butterfly room was also the pool which the crocodiles were in; this was Luke's favourite part. I'm sure he would have got in there and given them a cuddle if he could have; they seemed very lovely, even with their ridiculously sharp teeth. Of course my favourite part of the Zoo was the giraffes, including their newest addition; the little bubba! So cute. We spent at least 10 minutes watching one of the giraffes trying to reach for some leaves which were just a little bit too high for him, but he kept persisting and then finally gave up and went to the other side. I couldn't help but smile. Unfortunately, unlike Colchester Zoo, you can only find out what times the showings are when you walk through the entrance. So if you do not take a picture there and then, you're unable to watch any of the showings unless you're just lucky and turn up to each pen when they're about to start. I would have loved to feed the giraffes but this is another thing which Whipsnade didn't offer, unlike other zoo's such as Colchester and London. Something I was absolutely gutted about is how every single Zoo I have been to hasn't had a male Lion. Where are they all? There must be some somewhere. But on the other hand, there was four female lions which I was very happy about; all laying in the sun, catching some rays. Regardless of the fact the lion looks like it wants to eat me, I got some brilliant pictures of it and I couldn't be happier. Have you been to Whipsnade Zoo? What were your thoughts on it?